I’ve been interested in food for as long as I can remember. My mother was the one who influenced my love for food. She would have me help her bake for our get-togethers, and as I got older I earned more responsibility and she started teaching me how to cook. It was AMAZING! 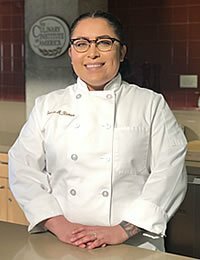 My husband has a BBQ restaurant here in San Antonio, and working there doing pastries made me finally find what I’m passionate about. I’m in charge of pastries at the restaurant, but I wanted a challenge. I decided to attend culinary school to learn the basics of baking. Being a home baker is nowhere near being a pastry chef. So I chose the CIA because it is one of the best schools in the nation. I want to be the best and in order to do that you need to be taught and challenged by some of the best. They have been a huge help. Not being financially stressed is definitely something that keeps me going. The atmosphere, hands-down. Being here so far has been great, and I’ve met some really great people. Everyone is so welcoming and helpful. Our chef- instructor is amazing. She’s always willing to help and answer any questions we have. It’s nice to know that we are not just another number. I love to make Tres Leches Cakes. I’m not a big fan of cake itself, but the fact that you get a very moist and sweet cake you can enjoy at any time is great. Teamwork makes the dream work!! Teamwork is key in everything you do here. I would love to open a bakery, to be my own boss and be able to do what I love every day. Eventually I’d like to be able to help out my community as well as our homeless veterans. Don’t be scared; it will be the best experience you will ever have! 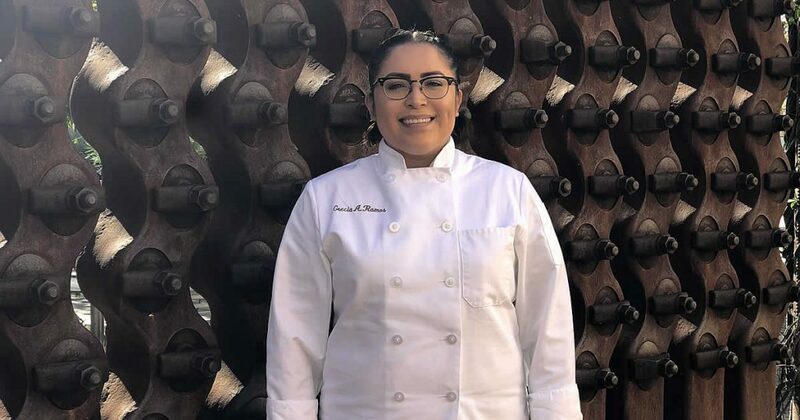 Grecia Ramos is a CIA student pursuing her associate degree in baking & pastry arts at the college’s San Antonio campus in Texas. She is from San Antonio, TX.